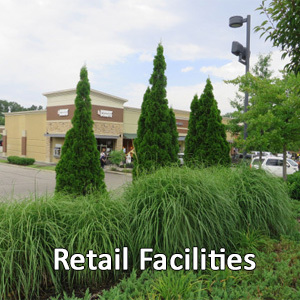 One of our commercial property specialties is retail shopping centers. We've been taking care of retail shopping center landscape for decades, including parking lots, open areas, and indoor landscaping at shopping malls. Unlike other commercial property landscapes we handle, a retail shopping center has its own unique set of challenges. This includes maintaining it despite ongoing crowds and foot traffic as well as parking lot traffic. 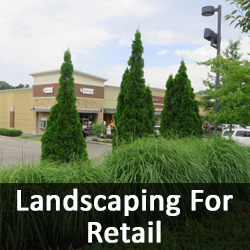 However, if you can work with a commercial landscape service provider that gives you a well-maintained landscape, it can help your retail center tenants improve their image and the shopping experience, driving repeat business. Here's what our commercial landscaping service can do for your retail center: Maintain and refresh the green areas around all of your storefronts and entranceways; Conduct all commercial landscape work during no- to low-traffic times; Prepare for holiday and special events that involve the landscape; Develop a landscape that fits the environment, including the mix of hardscape, irrigation, and landscape that defines it, and offers solutions for less water usage; Offer monthly commercial landscape maintenance and design that aligns with your budget; and Create a retail shopping center landscape that keeps its beauty even in high-traffic conditions. Every aspect of your retail landscape gets our attention. That includes taking care of any water features and irrigation systems as well as planters, green areas and lawns, and flowerbeds. 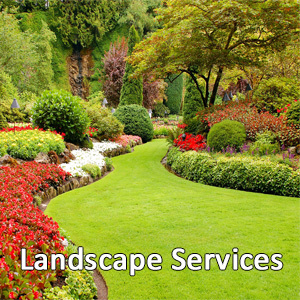 It also means we handle mulching, trimming, mowing, reseeding, pruning and edging. 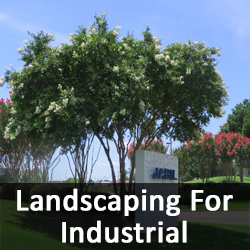 We specialize in numerous landscape design elements that are commonly added to retail centers to enhance their aesthetics and draw customers in. 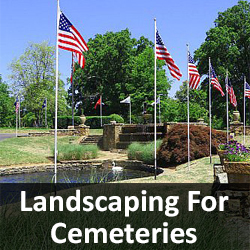 This include planting beds, tree installation, walkways, rock features, and lighting. Even during the winter season, you can take advantage of our snow and ice. 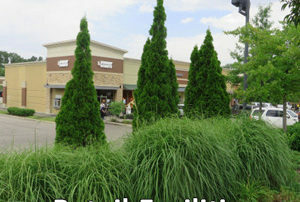 Contact us today to learn more about our monthly commercial landscaping services for retail shopping centers. 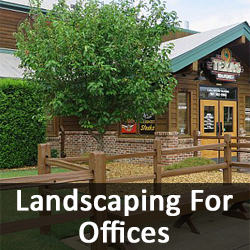 Every season brings different weather conditions that impact your commercial landscape. That's why it makes sense to regularly adjust your commercial landscape to fit the season. This creates a year-round beautiful and welcoming look to your commercial landscape. Here's what you can do to make sure your commercial landscape fits each season: Your first plan is to have an overall year-round commercial landscape and planning strategy that involves selecting trees and shrubs that you can prepare to replace the following season. That way, there will always be a focal point to your commercial landscape design. Since spring is the next season coming up, let's start there. 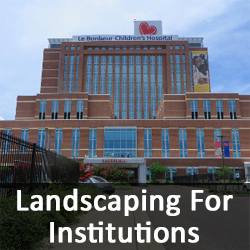 After a drab, cold winter, you will want to show some color in your commercial landscape. Look for the earliest-blooming shrubs, trees, and flowers to get ready to plant. You'll most likely start enjoying various colors by mid-spring. And, to carry on your staggered planting strategy, summer should consist of trees and shrubs that are heartier and can withstand the heat and humidity of the season. From there, fall offers a lot of opportunity for colorful foliage and deep colors across shrubs and trees. When winter arrives again, most of the plants and trees will go into hibernation, so be prepared to focus on colors like white, brown, and gray for a few months with the exception of the seasonal evergreen tree. Then, there is your year-round commercial lawn care to consider. 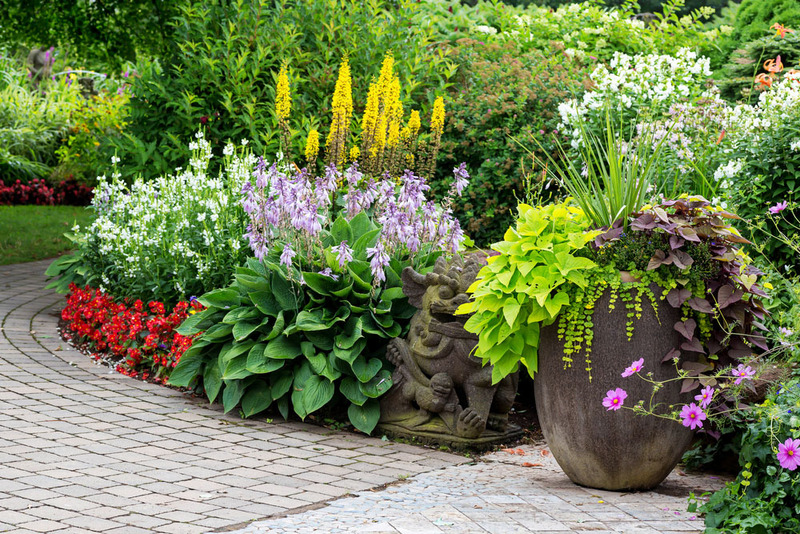 This area of your landscape should also have a strategy to keep it inviting throughout each season. With spring nearly here, it's time to sharpen those lawnmower blades and clean up all the debris. Keep an eye out for weeds and begin fertilizing. From there, each season will involve trimming, watering, and feeding until the lawn goes dormant again in winter. And, if you need expert and professional help making your commercial landscape fit with the season, then you should contact us today to learn more about our commercial landscaping design and maintenance packages. We are deep into winter but have winter in our sights. 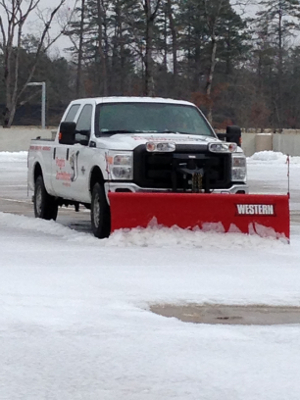 Yet, there is still much to do when it comes to caring for your commercial landscape during the winter. Here are some tips to follow: Avoid walking on your lawn during winter. If it tends to freeze in your area, walking on it can lead to bare spots that will not go away when your grass returns from its seasonal dormancy. Tie up loosely branched evergreens and boxwoods that can become damaged from the weight of any snow that falls. Do not use a broom or snow shovel to get rid of snow that builds up on shrubs. If the limbs are frozen, they are fragile and can be easily damaged. Check on how your winterization efforts are doing with your irrigation system to make sure nothing is busted. 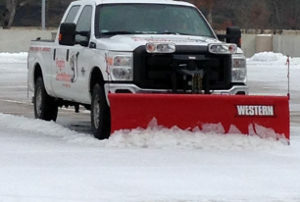 Winterize all your landscaping maintenance tools. This includes emptying gas from all equipment engines and sharpening tools like pruners, spades, and shovels. Provide protection for early flowering plants, such as rhododendrons, camellias, and azaleas by covering them with burlap. Mulch planting beds to keep the roots of plants warm and protected. Remove any leaves and debris that have built up. When it gets closer to spring, start focusing on planting bed by pruning all shrubs, trees, and perennials. Remove all dead wood and clean up the area to improve the health of all plants and flowers. 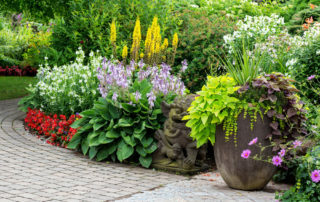 Replant perennials like black-head Susans, daisies, and groundcovers. Plant spring bulbs. Consider tree removal on any that are large and overgrown during this season. Regularly remove all snow and ice sidewalks throughout your commercial landscape to make it easier for customers to visit your business. Contact us at Pugh's Earthworks to consider our monthly commercial landscape maintenance services, including the winter season. 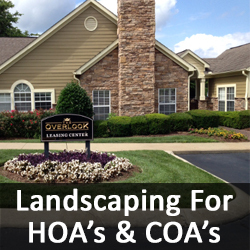 Your commercial landscape most likely has served you well over the years, offering a professional look. However, like everything, this might be the time to think about a makeover to revitalize that commercial landscape. There are many reasons to consider this change. First, changing the commercial landscape creates new interest for visitors and offers them a fresh, inviting place. Second, the changes in environmental concerns mean you'll need to think about water conservation and a move to drought-resistant plants. Third, like the outside of your commercial building, it could just be time for improvements due to age, wear and tear, and weather impact. In all situations, you don't want dead or broken trees and shrubs to impact others' impression of your business. Plus, any fallen limbs or ragged branches can put employees and visitors to the property at risk for injury. Now that it's a new year, it's a good time to think about getting professional commercial landscape services like Pugh's Earthworks to revitalize how the surroundings of your business look. We can come up with a plan on how to change it as well as a timeline to revamp your landscape in a way that doesn't interfere with visitors and clients coming to your business. 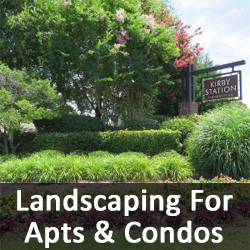 Our services include collecting and hauling away debris, trimming back, or pruning bushes and mature trees, and planting new flowers, plants, and greenery that complement your building's architecture. 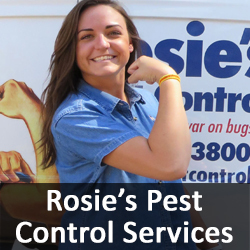 We'll recommend a way to use less water and make improvements to your existing irrigation system. 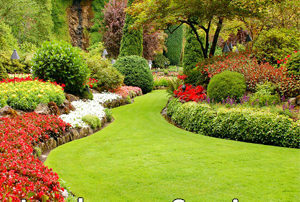 If you have grass, then we'll also take care of your lawn and bring it back to life if it needs more attention. This also involves weed control and other preventative measures to help ensure a beautiful commercial landscape. Contact us today to find out what we can do for your commercial landscape to make it an attractive and welcoming way to greet visitors and clients.